Why the Lower North Shore? The Lower North Shore is a cluster of some of Sydney’s most prestigious waterside suburbs stretching from Sydney Harbour in the south to the far north of Ku-rin-gai Chase National Park with its hidden harbour beaches and sweeping views from Circular Quay to Middle Harbour and the Pittwater waterways. 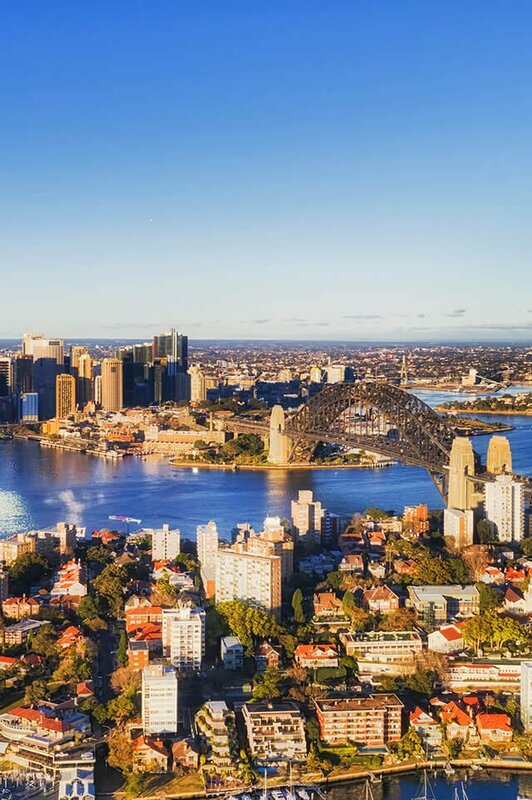 It is home to some of Sydney’s top private schools, exclusive and Australia’s most expensive harbour front properties with uninterrupted bush walks and rocky coastline all within arm’s reach of the Sydney’s CBD. The region is spoilt for all forms of transport options and accessed via car, bus, train, bicycle or on foot from the City’s South across the Harbour Bridge to North Sydney, Chatswood and beyond. Alternatively, ferries operate a daily, direct service between Circular Quay and many of the local Wharfs, with breathtaking views of Sydney Harbour National Park and icons including the Harbour Bridge, Luna Park and the Sydney Opera House. There is a full mix of circa 1950’s low rise and high rise residential apartment blocks transcending to architectural freestanding and semi-detached homes ranging from Victorian sandstone, art deco and federation cottages to high-end modern masterpieces. Some homes can be found hugging the coastline offering ocean views or hilltop vistas tucked away in natural bushland reserves. The Lower North Shore caters for a mix of young couples, investors, professionals, families and retirees all seeking the area’s harbour lifestyle and city buzz. The Lower North Shore offer an outstanding selection of schools ranging from public, private, Christian, Catholic or non-traditional Montessori alongside independent primary and secondary schools, many of which are among the best performing in the country. There is a choice of exclusive private and public hospital options including the Royal North Shore Hospital which is a major public teaching hospital for UTS, Sydney Medical School. Do you need a Buyer’s Agent who can assist you to purchase a property in the Lower North Shore?